Allow students to bring phones to class? Sounds chaotic! Yet, it doesn’t have to be. Instead, your students can benefit from innovative edtech, while saving some money for your district if students can bring their own devices. Not to mention, most students fear losing their phone more than their clicker, so you’ll worry less about your students forgetting their hardware. Make sure students have alternatives – BYOD is a great cost saver because most students already have the hardware they need, but sometimes they don’t. If you teach at a public high school, it may be tough to sell BYOD for this reason. As a result, it is best to pick a platform that students can not only use on their own devices, but also can access on a classroom computer. As a result, nClass’ device flexibility may help grease the wheels for your BYOD success. Set ground rules for device use – This is also an opportunity to involve your students in class early on. Have your students suggest classroom cell phone policies related to their devices and have them vote to choose which ones to follow–using their devices. This serves as both a tutorial on your BYOD platform, while making sure your students know what is expected of them. Replace calling on students unexpectedly with polling and quizzing – You know the story–one of your students looks sleepy, dazed or otherwise unengaged. How do you force them to pay attention? Call on them. However, this can often be embarrassing for the student, so have students answer questions with their devices instead. This way, you keep all students engaged throughout class. Heck, you can even make your in-class quiz questions fun by turning it into a games in the classroom! Gamify class with BYOD – As we mentioned in #3, you can keep students engaged by turning in-class quiz questions into game. Instead of giving traditional points for class participation, give students prizes for staying engaged. One strategy: at the end of the month, give prizes to the 3 students who submitted the most correct answers. Another: separate the class into teams at the beginning of the year. Keep a count of the teams in the lead throughout and offer a prize to the winning team at the end of the year. 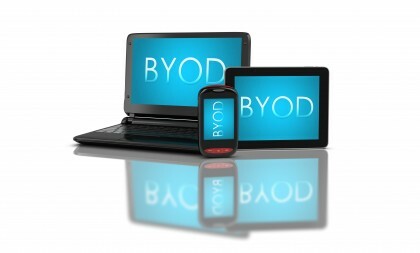 Did your school effectively implement BYOD? Let us know what made it a success in the comments below.